Pictured with Terrace Sherman, author of "Own the Throne." Photo by Limitless Lifestyle Crew. That was just one of the many inspirational quotes in Terrace Sherman's newly released book, "Own the Throne," which is a "roadmap for the woman who is on a daily quest to be the very best version of herself." One word to describe the book...PHENOMENAL. 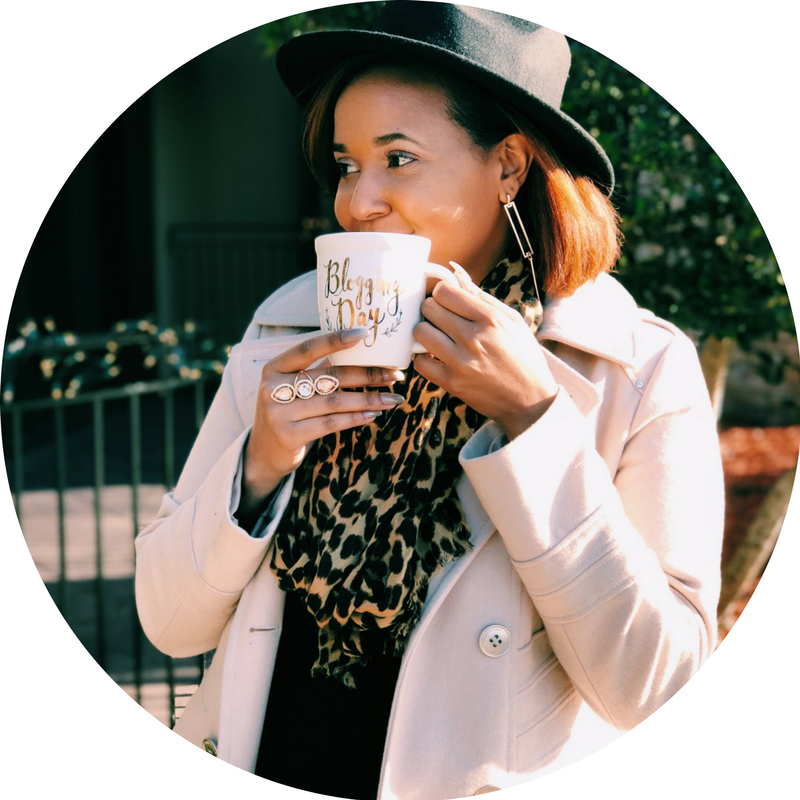 Terrace, a Marketing Specialist/Beautypreneur/Blogger/New Author (woop woop! ), is the definition of a Queen born with a purpose. However, the road to her Queendom wasn't easy. She shares a lot the obstacles that she's faced in her book while also sharing some life tips in regard to building your brand, rising above conflict and most importantly, loving yourself. I must admit, I've fallen off when it comes to reading (grad school probs), but now that I have more free time, this was the perfect book to get me back on track. I could relate to a lot of the stories and lessons that Terrace shares throughout the book and I know others will feel inspired as well once they dive into the book. Recently, I had the chance to interview Terrace about "Own the Throne" during an episode of her podcast, "Crowned" (listen here) and at her book release party that took place on January 3rd. We unpacked her book cover to cover and celebrated this huge accomplishment with her family, friends and other supporters. I can't leave out the fact that the event itself was BOMB. From the decor (by Endulge Events), to the vibe in the room...everything was flawless. I want to encourage all of my readers to support Terrace by grabbing a copy of her book today. I promise you'll enjoy this read!